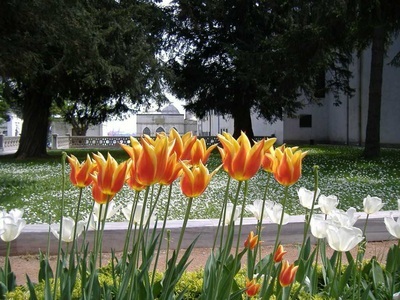 One of the most important pulpits expressing human’s feelings, symbol of peace, beauty and paradise, Tulip has a relaxing effect on the human soul. This herbaceous and bulbous plant creates very special and magical ambiance. It goes beyond people’s spirit by opening the door slightly to the metaphysical world. The history of tulip is actually based on the Anatolia; especially, in 12th century, Ottoman Period, tulip was a very significant thing. Not only was it used as a flower in the garden of Palace but also the countless products from architecture to literature, from tile, calligraphy to fabric were decorated with the tulip designs. Moreover, it was used as an ornamentation motif in the field of handcraft and mystic symbol of Islam. 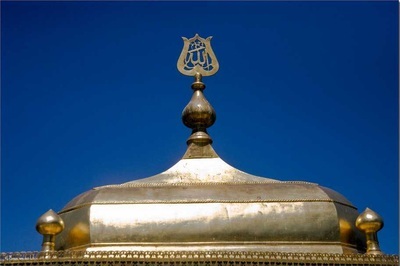 Many artists, architecture, poets and bards like Mevlana Jelaleddin Rumi, Great architecture Sinan reflects the motive of tulip to their art works or valuable masterpieces thanks to its letters symbolising ‘’Allah’’ in Arabic hence; today it is seen that numerous mosques belonging to the Ottoman Era has been furnished with the symbol of tulip. Except for that, the tulip expresses various meanings; in the field of literature, it is liken to the heartbreak, face, cheek and lip of the lover, chalice(drinking cup), wine, blood, crown and garden hyacinth due to its colour and refreshing, restful shape while in the idea of Islamic mysticism, it means the dervish’s praying. 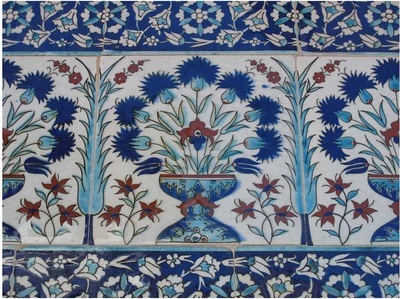 Between 16th and 18th period, during the reign of Ottoman Sultan Ahmet III, tulip was highly popular; palaces, gardens, inns, mosques and the other favourite places were decorated with the tulip figures. More than 50 kinds of tulips were used within that glorious period which is the one of the main reason why this time was also called as ‘’Tulip Period’’. 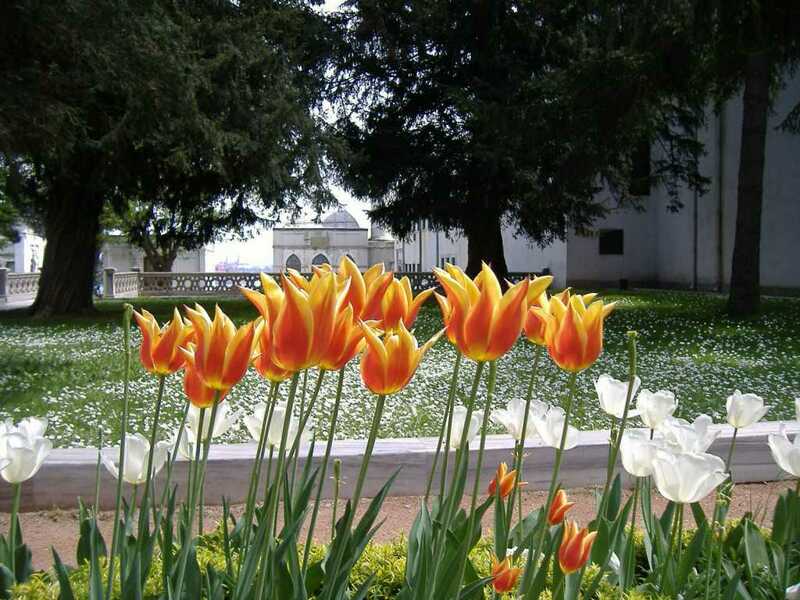 In the period of Great Ottoman Sultan Suleiman, the Magnificent, when the ambassador of Austria, O.G de Busbecq visited Ottoman Empire, he was fascinated with the beauty of those multi-coloured and multifarious tulip gardens. Because of this, he took the seeds of tulip in order to bring Vienna which shows us that it was the first journey from Anatolia to another country. Afterwards, it was carried Canada and Netherland and the others in the worldwide. It was named as Tulipe by Europeans due to its form reflecting the muslin (sarık in Turkish) belonging to Ottomans. Additionally, it particularly began to be very famous for its diverse species of tulips in Netherland. 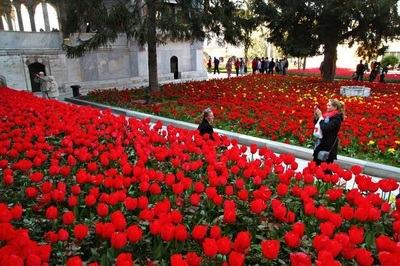 Istanbul is well known as a wonderful tulip heaven. 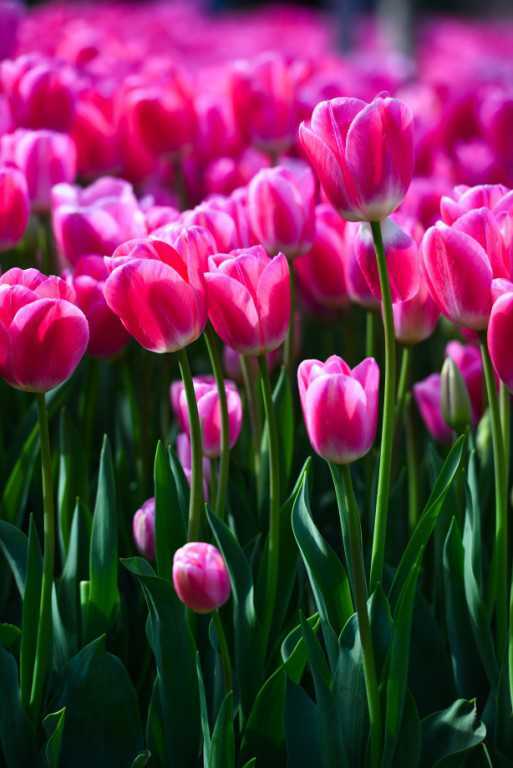 It is surrounded numerous, various, party coloured flowers named as ‘’Tulip’’. 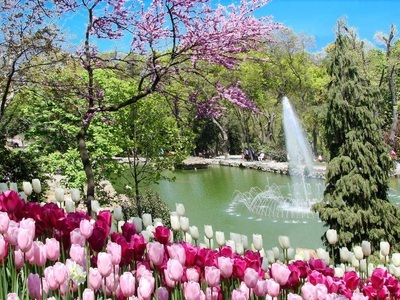 Today there are exhibited more than 100 kinds of tulip in Emirgan Grove, Hıdıv Pavilion, Gülhane Park, Bulbous Plants Park, Yıldız Grove, Göztepe Rose Garden, Fethi Pasha and Beykoz Grove which grabs the visitors by creating breath taking landscape. 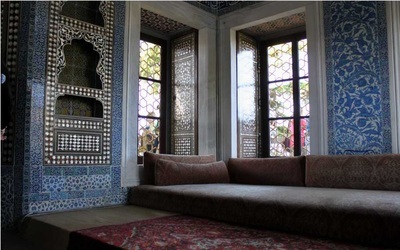 In the other hand, it is seen that many unique masterpieces are decorated with different tulip patterns such as Istanbul Tulip Museum and mosques and social complexes in Istanbul. 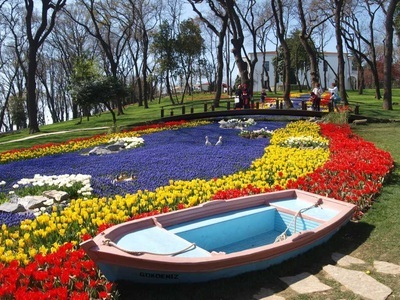 Also every year, end of March or beginning of April, there is a carnival (Istanbul International Tulip Festival) organized by Istanbul Metropolitan Municipality in order to gather and entertain the people. Within that festival, numerous tulips in company with music groups are displayed the visitors. WHEN IS THE BEST TIME TO SEE TULIPS IN ISTANBUL? Depending on weather and season conditions, every year you can see best formation of the tulips between 10th and 25th days of April. 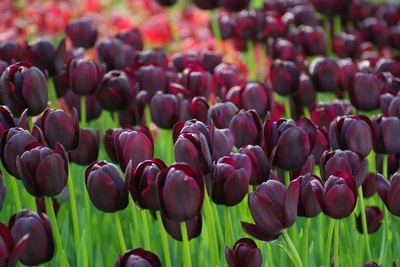 Usually before this period Tulips are not being completely come in to flower shape or after this period Tulip leafs will start falling down until the first week of the May.